Do you ever sit up late at night watching videos about how close we are to global catastrophe? Are you bothered by the creeping inevitability of death? Have you ever sat and read the Wikipedia page for predictions for the day the world will end and contemplate your own existential meaning? If you answered yes to any of these, Better Oblivion Community Center is the band for you! Phoebe Bridgers and Conor Oberst’s new collaboration finds solace in nothingness and sees it as an excuse to indulge in the spectrum of life’s emotions. Through some occasionally rock-tinged folk music, BOCC harmonize and recite poetry that tell stories and set scenes that are timeless and endless. 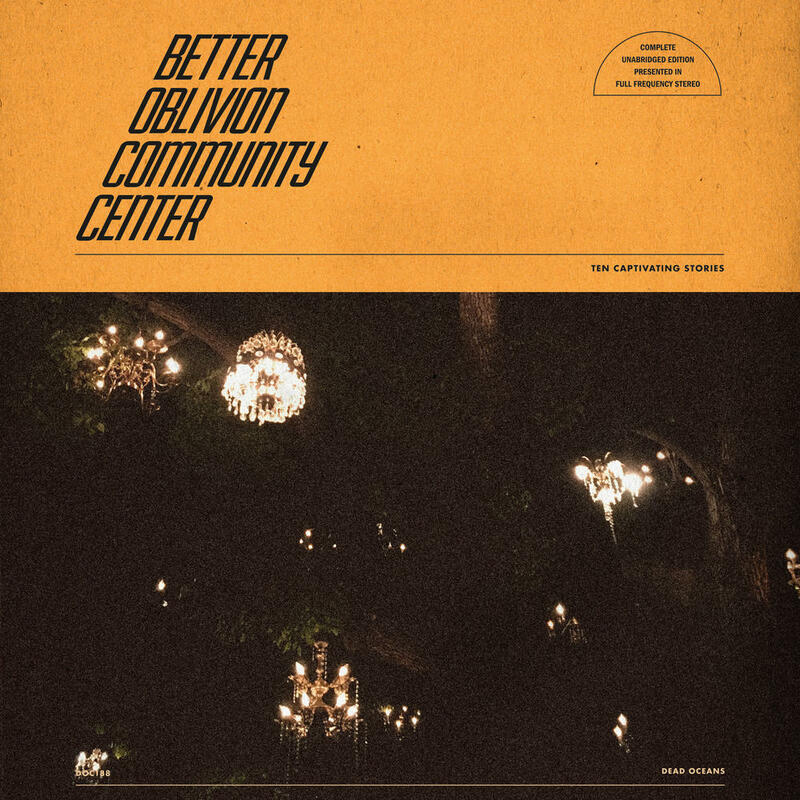 It’s par for the course for both Oberst and Bridgers, but Better Oblivion Community Center at least seems like they’re exploring emotions through characters rather than just relying on their own life experiences. The stories often reflect aspects of loneliness, and Bridgers’ kind, soothing voice with Oberst’s often aged, sad voice show the range of loneliness. The moments they stray from this are usually the record’s most interesting moments but also elevate the record’s flaws. “Exception to the Rule” is a punchy, electronic number that is entirely distracting. BOCC really are their most powerful when the singers join together and sound like they’re guides taking you toward some sense of childlike existence that pains you to know once existed within you. The bare-nature of a track like “Chesapeake” enforces this feeling the way it feels when you first hear a great song when you’re so young and hear a record that you’re going to love for your entire life that you’ll never get again by the time you pass age 10. Death is scary. Living can be scary. We all face so many tribulations, and the stories that Phoebe Bridgers and Conor Oberst tell throughout Better Oblivion Community Center address so many of these fears and feelings. While this record can certainly serve as an existential coping mechanism, it also just shows us that we all deserve a stronger nothing.